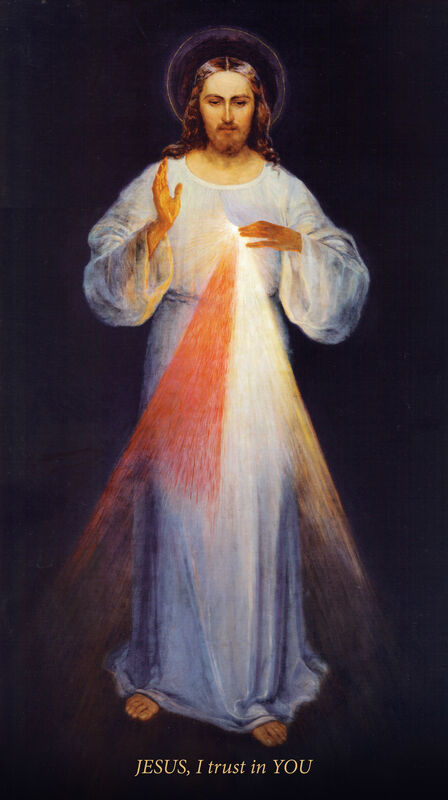 Image: Divine Mercy Image. From Wikipedia: “Original painting of the Divine Mercy (by Eugeniusz Kazimirowski in 1934). This is the only painting which was done under the indications of Sister Faustina when she was still alive, unlike the painting by Adolf Hyła which was done in 1943 after Saint Faustina’s death in 1938 but still the most known.” AUTHOR: By HistoryisResearch, April 4, 2016. This file is licensed under the Creative Commons Attribution-Share Alike 4.0 International license. ← A TRUE AND AMAZING MIRACLE TOOK PLACE ON SAINT PATRICK’S DAY!